Palestinians and Israeli police clashed outside of the Al-Aqsa Mosque compound in occupied East Jerusalem on Saturday, as the holy site remained under lockdown for the second consecutive day following a deadly shooting attack inside the compound that left two Israeli border policemen killed and three Palestinian assailants shot dead. Israeli police spokesman Micky Rosenfeld wrote in a statement that one Israeli policewoman was treated for light injuries after a “firework” was thrown at her Saturday evening, amid an increasingly tense atmosphere around the mosque. The entirety of the Old City has been shuttered to Palestinians who don’t reside there, while Israelis and tourists have been allowed to enter undisturbed, according to Israeli news outlet Haaretz. The compound has been under closure since Friday’s attack, reportedly the first time the compound has been closed off to Muslims since 2014 and the first time since 1967 that Palestinians were restricted from attending Friday prayers. 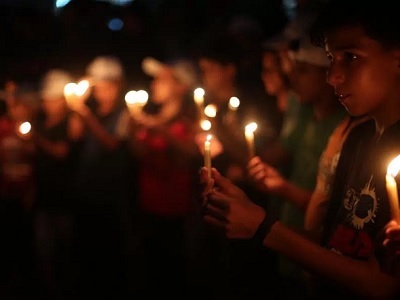 As a result, local Palestinians have been gathering outside of the mosques entrances and in surrounding streets to pray and to express their opposition to the security measures that have been denounced by Palestinian leadership as collective punishment. 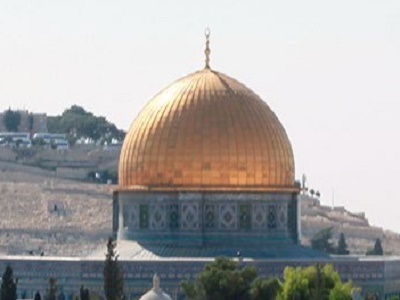 Jerusalem-base Al-Quds News published a video Saturday evening, around the same time the Israeli policewoman was reportedly injured, showing Israeli forces shoving and chasing Palestinians outside the Gate of Remission entrance to the mosque — known in Arabic as Bab al-Huttah. Officials of the Islamic Endowment, or Waqf, in charge of running the Al-Aqsa Mosque compound, told Ma’an on Saturday morning that large numbers of Israeli forces continued to be deployed at all of the compound’s entrances and all roads in the Old City leading to the holy site. Waqf officials said that Israeli forces had continued to vandalize parts of the compound’s facilities, including breaking down the doors of libraries, prayer places, clinics, and fire protection stations. Since Friday, Israeli forces have detained dozens of worshipers and Waqf employees, as well as the grand mufti of Jerusalem Sheikh Muhammad Hussein, who has since been released after hours of interrogation. Waqf officials also told Ma’an that the adhan — the Muslim call to prayer — had not been performed since Israel’s restrictions on Al-Aqsa and that Al-Aqsa mosque-goers have so far missed five prayers. Israeli Prime Minister Benjamin Netanyahu rejected international calls to immediately open the holy site and announced that the compound would be closed to worshipers until noon on Sunday. 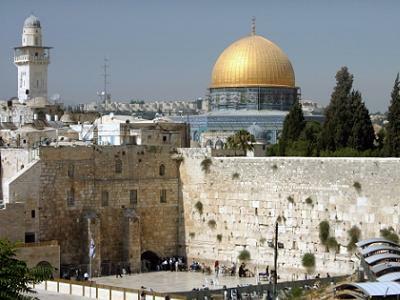 The United States government has meanwhile expressed its support for Israel’s decision to enforce the closure on Al-Aqsa.